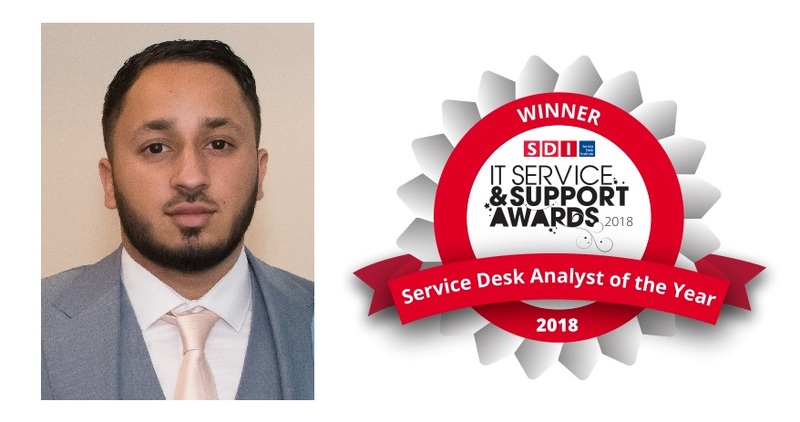 Feezaan Asghar, Service Desk Team Leader at Leeds Beckett University and winner of the Service Desk Analyst of the Year 2018 award explains the strong sense of teamwork at Leeds Beckett and how he implemented the successful shadowing plan to improve service desk analyst’s performance. Feezaan joined us on our 2019 Awards Launch Webinar, hear more about his awards journey by listening here. What made you decide to enter the awards? The main reason I decided to enter for the awards was so that we could proudly show the rest of the business how much our service had improved. We have spent the best part of the last year re-establishing our position within the University and re-launching our media loans service with a new customer-facing portal. From our TLP (Technology Liaison Partners) to students, our service consistently receives praise. This award, should I win, will be an award for the whole team to be proud of. The entire team committed to improving our service, image and position with stakeholders in the University and have led to our Service Desk being recognised across the sector. It would show that the changes that we made to improve the service were seen worthy of recognition. What part of the awards process did you enjoy the most? I enjoyed preparing for the interview, because by this stage my team and the other departments in our University were aware that I had made it to the shortlisting stages. It felt great to represent Leeds Beckett University and the service desk by competing against private sector giants. The whole team congratulated me on making it through to the shortlisting stages and were excited that we had another colleague who was also short-listed. Moral was high towards the build-up to the interviews in Birmingham. The team pulled together on the day of the interview because we would be down four people due to my manager being shortlisted for the Service Desk Manager of the Year category and one of the team was attending a procurement event. We have been promoting a one-team nature here at Leeds Beckett since I began in February 2017 and it felt great to be able to spend a day away from the desk and know that between them the team would be able to handle any issues that may occur. Why did you choose IT Support as a career? IT was my favorite subject and it was also one that I excelled in throughout my school and sixth form life. I have always been interested in new technologies, anything from mobile phones to computers to the self-driving vehicles that are no longer science fiction. Although I enjoyed IT the most, I was actually pursuing a career as a Paramedic because biology was my second strongest subject and I always wanted a job where I would be helping others. Unfortunately, due to my younger brother passing during my A-Levels I was unable to carry that forward and at around 17 years of age I had to rethink my plans for the future. I met with the Head of sixth form when I returned and we discussed my options for the future and it was then that he highlighted I could have a great career in IT. Unbeknown to me, he had actually already looked into apprenticeships and I have him to thank for helping me back on to my feet. I started my official IT career with an apprenticeship and worked my way through to a full-time job as a Technical Support Analyst, to Service desk analyst and to my current role as IT Service Desk Team Leader. Throughout each role, I dedicated myself to my responsibilities and consistently went above and beyond what was required. I put myself forward for new challenges and jumped in at the deep end, eventually learning to swim. I would deal with customer’s issues as if they were my own and would always put myself in their shoes and speak to second and third line teams to reduce down time. I know I can’t compare myself to a paramedic but I still feel great when I fix an issue for a customer or set up their new phone and show them all the new features. Seeing the smile on the customers face and the feedback we get emailed to us makes it all work it in the end. My story just goes to show that anything is possible so long as you put your heart and soul in to it. What I will openly admit that I do not know everything there is to know (yet), but I am not afraid of a challenge. IT is forever changing and every week, if not every day there is something new I learn, this is how I know I made the right decision in choosing IT Support as a career. In the last 18 months, what has been the most successful initiative you have implemented to help your business improve its performance? The service desk team has been through a number of restructures and had unfortunately not been given the level of training required to deliver a good quality service. The majority of the team raised this issue to myself in their monthly one-to-ones. I also noticed this issue during my own induction, which included me sitting with the team whilst they were taking calls and handling customer requests. I brought this up in one of my monthly meetings with the senior staff from the second line team and asked if they might consider allowing some of the Service Desk team to shadow them; as many of the second line had originated from the service desk. They thought it was a great idea and after discussions with management; we agreed that the analysts would spend a week away from the desk to shadow not just the second line team but also networks and development teams also. We scheduled the shadowing that began in the summer half term (July 2017) when the service desk is traditionally quiet due to the low number of staff and students who stay on campus for the summer. I announced the initiative to the rest of the team and they were pleasantly surprised; before my tenure they had complained about training needs but it was never dealt with. I then asked the rest of the team to consider key areas they would like to be trained on or would like refresher sessions on during their week of shadowing and emailed them to me. I then collated all their requests and with the help of the second line, networks and development teams, a shadowing plan was born. I put myself first on the list to go on to the shadowing week. This gave me a chance to vet the plan that was put in place and provide feedback to the three teams involved in delivering the training. It also gave me a chance to learn about our University’s infrastructure and support models in each of the areas, given that I had only fully embraced my role in March of the same year. In the weeks following and up until the end of the summer the analysts took turns to spend a week away from the service desk. As a result, all of them came back with new skills and a better understanding of how our University’s support channels work. The shadowing benefited our second line, network and development team because they felt more comfortable sharing their fixes with first line once they had seen how skilled they are. The shadowing week was a bit hit for all those involved, so much so that the team have asked for it be an annual occurrence in the summer. This has been backed by the seniors in the second line team who admitted that by the end of the shadowing weeks they felt as though they had not just passed down knowledge but had learned new skills from the first line team. What are your top 3 tips to make a service desk successful? I would begin with what I call a ‘one-team nature’. You could call it teamwork, a sense of belonging, respect, the list could be endless, but to me it is the glue that keeps us together. The understanding that we should support each other and feel confident that support is there available if you need it. No one member of the team should feel responsible for picking up the work everyone else leaves behind, it should be an equal and consistent effort by all. This does not mean every one of your analysts will be able to do the exact amount of work, but the effort they put in should be equal. 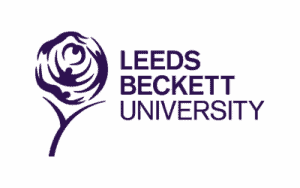 What we have at Leeds Beckett University is a family culture within and between departments. A Leader. These can come under many different job titles, service desk analysts, team leaders, managers, etc. A Leader will always hold the team’s best interests close to their heart and will lead by example. They will not be afraid to challenge decisions if they believe that it could have a negative impact to their team. This individual will motivate their colleague and consistently stand out as a go-to person. My last tip is investment. Many businesses/organisations invest in the majority of areas but sometimes the service desk can be forgotten. The service desk at Leeds Beckett University felt a little like this. Investing in your staff is crucial, IT is forever changing and your staff need to make sure that they have all the skills necessary to fulfil their responsibilities. Training can be done internally to reduce costs. In my previous company, I used the senior analysts and second line teams to increase the skills on the service desk. At Leeds Beckett University, we introduced second line shadowing and sent our whole team to complete the Service Desk Analyst training that is run by the Service Desk Institute and ITIL qualification run by QA. The investment does not have to be financial; recognition from high-level management, which could be a visit once a quarter, really helps to give a sense of belonging. What one thing do you think really makes you stand out as a support professional? I would say my supportive nature. I would never ask the team to do anything that I would not feel comfortable to do myself. I have always encouraged the team to come to me with any training requests and I revisit this in all one-to-one meetings. In our team meetings; which are generally held on a monthly basis, we have a section dedicated to CSI (Continual Service Improvement) where we again ask the team if they have any service improvements that they want to see. I have gained knowledge and acquired training on almost every service that we support on the service desk so that I can lead by example. I regularly cover the customer facing triage desk and take phone calls to allow time for the rest of team to make use of their personal development time. How are you preparing to evolve your service desk over the next few years? Please share your most exciting plan with us! The IT Service Desk is working towards a 2-star accreditation which we aim to achieve by September 2018. Not just the Service desk, but the whole of the University’s support teams are involved to help us achieve the accreditation. They understand that the service desk receiving this will help to improve the image of IT Support as a whole and lead to a better service which will carry through to help our University deliver a world-class education to our students. Analysts on the team have been given areas to focus on and me being a finalist for the Service Desk Analyst of the Year award has really help motivate the whole team to do their utmost best for the project. We are also currently upgrading our ITSM tool from Landesk to Ivanti Service Manager. Members from the service desk have been heavily involved from the gathering requirements stages and will support the service after the installation. We will have four administrators on the service desk so that any minor changes to the system can be undertaken with minimal wait. What does it mean to win Service Desk Analyst of the Year 2018? I feel like this is just the beginning for me and my team. I can still hear the screams ringing in my ear (thank you Alex & Sally), words cannot describe how I felt that night. It was and still is recognition of the hard work that has been put in over the last year by my team and the respect we have gained is amazing. The whole of the university showed how proud they were by writing an article on our website and emails as well as verbal congratulations that I received. Winning the award has lit a fire that will be extinguished only when we win The Service Desk Team Of The Year Award, which is in our sights in the not too distant future. What advice would you give to anyone entering the awards next year? The best advice I would give is be open and honest. Include as much, if not all the improvements you have made over the year. What you may regard as a small/minor change could be something that other businesses dream of. Also, don’t wait until you think you have perfected your service desk before sharing your experiences and putting your name out there. Before achieving my current role, I had no experience in the Higher Education sector but still had the experience and skills I learnt in the private sector which helped to turn a failing service desk around. We currently have a sector leading First Level Fix Rate, consistently average our customer feedback in the high 90% and we are an example to other IT departments in the University. What have you done to celebrate your amazing achievement? I had an amazing celebration on the night of the awards ceremony with my extended higher education family. The partying carried on late into early hours of the next day. It did not stop there, when I got home all my family had come round to surprise and congratulate me. We had a big family get-together and meal on the weekend after the awards and got desserts with my close friends. 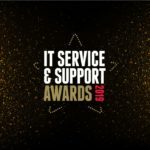 The 2019 IT Service & Support Awards will take place on Tuesday 26 March at the Birmingham Hilton Metropole. 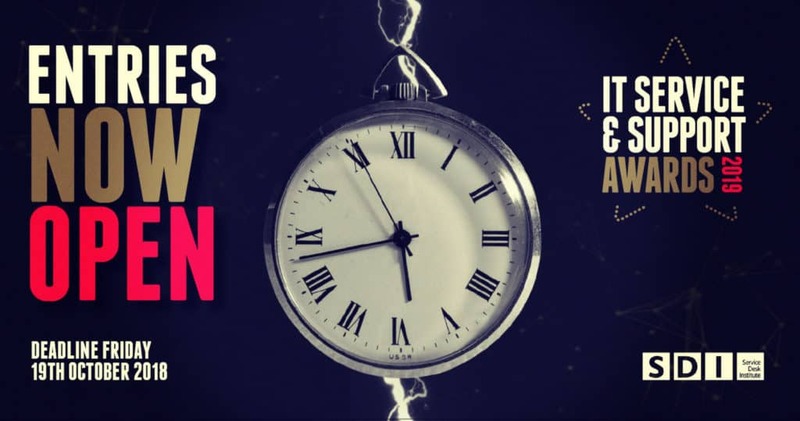 Entries are now open – start working on your submission today for your chance to be recognised as one of the shining stars of the IT support industry. Double Award Finalists Allstate Northern Ireland Reveal Their Key To Success!